The house of cards of the Trump Resistance is collapsing with accelerating speed, as anything propelled by the force of gravity does. The "comedy" act at the White House Correspondents' Dinner on Saturday and the groans from the audience must have caused even some of the more militant Democrats to wonder what the whole White House press beat had become. It was a vicious, unfunny replication of the late-night television laughing hyenas, while the president whipped up his supporters at a large rally in Washington, Mich. (televised nationally). Nothing to do with the White House, and especially not the correspondents, amounts to anything without the president. This was always a good-natured back and forth between the president and the reporters who follow him every day and was a pleasant, if fairly predictable, Washington event, like Alfalfa and Gridiron. It is now just mudslinging in absentia, revealing the White House media as essentially the partisan pack of defamers and myth-makers that they have made of themselves, and that their employers have tolerated. The country doesn't trust them and doesn't much listen anymore. It is potentially dangerous when a free press had made itself so dispensable. The evidence continues to accumulate that not just former FBI deputy director Andrew McCabe, but his boss James Comey, and the partisan intelligence directors James Clapper and John Brennan will all be facing perjury charges, and that those responsible for the phony surveillance warrant on Carter Page (including the former attorney general, Loretta Lynch, and her chief collaborators) and ultimately a considerable swath of the Clinton campaign and the Obama administration will all be responding to serious allegations. It is at that point that the Resistance will have to show whether it has any backbone, and not just an ability to orchestrate the bigotry of the media and the stunned, dethroned solidarity of the OBushinton joint-incumbency under which the political confidence of the country largely eroded. Like officers on a sinking vessel directing passengers toward an insufficient number of lifeboats, Rahm Emanuel and Nancy Pelosi are now urging Democrats to be more subtle and restrained in calling for the impeachment of the president. As some of the leaders of the Resistance are arraigned for serious misdeeds, the impeachment of a president whose only misdemeanors are in areas of style and etiquette (though those are sometimes jarring) will increasingly seem esoteric. It is a reasonable inference, though not one that can be made with much confidence, that Rudolph W. Giuliani, former mayor and U.S. attorney of New York, has joined the president's legal team to negotiate with Robert Mueller a series of written questions for the president to be answered in writing, and a conclusion, at least of the Russian aspect of this inquiry, which will then have to show cause why its mandate should be extended to other fields. Failing some such agreement, the president could well ask a Supreme Court review of the validity of Mueller's proceedings, given that they were launched by Deputy Attorney General Rod Rosenstein at the instance of Comey's leaked and partially classified documents (that were probably wrongly removed government property), because he wanted a special investigation into the Russian issue, despite the fact that Rosenstein had recommended the firing of Comey, who himself confirmed that Trump was not a target of the Russian investigation and had made no effort to interfere with the Russian investigation. There has never been any excuse for any of it, and it has accomplished nothing except to drag Trump's accusers into a quagmire of their own making. 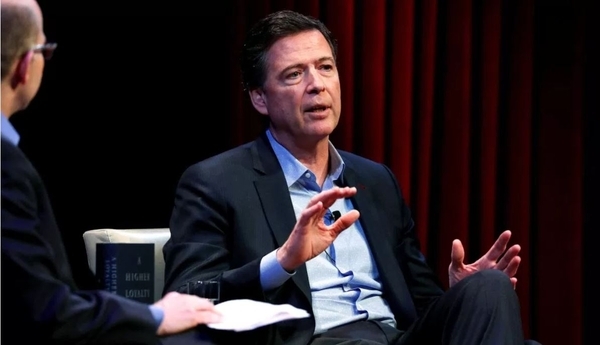 At some point in James Comey's tortuous book tour, as he twists and turns to square irreconcilably conflicting assertions and actions of his recent past, there will be a moment that will recall Joseph Welch's counter-attack on Senator Joseph R. McCarthy: "Have you no decency, sir?" Alan Dershowitz also deserves much credit because, with the great weight of his legal eminence, he has joined Victor Davis Hanson and me in seeking an investigation of Mueller's role in the horrible Deegan-Bulger scandal of the FBI in Boston in the Sixties to Eighties, when innocent men were knowingly prosecuted and condemned for murder, while the real killers were sheltered because of their assistance in attacking the Patriarca crime family in New England. Mueller's performance in the Anthrax murder tragedy (where an apparently innocent man committed suicide), and in the Uranium One affair (and deputy director Rosenstein's as well), would be worth a thorough look too. There is now little to do but watch the collapse of the proud façade of the corrupt prosecutocracy that Mueller, Comey, and Fitzgerald personify, corroded and bloated by a 99 percent conviction rate, 97 percent without a trial, because of the hideous mutation of the plea-bargain system. They are all very self-righteous: "Great will be the fall of it." The next installment of the inspector general's report should send Comey for likely indictment as the last one did McCabe. The question then will be whether this hyper-combative president will temper justice with mercy and take the lead in deescalating this appalling state of conflict. In a civilized society, it is not necessary to kill your enemies to defeat them. And the country needs the intellectual Right that has just walked the plank on the Trump issue. Journalists are never long accountable for the drivel they say; if his perceptions return, no one will goad David Brooks for saying of Senator Obama, "I was looking at his pant leg and his perfectly creased pant . . . and I'm thinking . . . he'll be a very good president," and of President-elect Trump, "He will resign or be impeached within a year." Americans who don't look at the foreign media should not imagine that it does not almost uniformly parrot the same malicious falsehoods as the rollicking group of after-dinner jokesters at the White House Correspondents Association. The Economist, for most of the lifetimes of people who regularly consult the upper-brow international English-language media, has been an intelligent and perceptive and usually pretty fair magazine of news and comment. It is globalist and diehard in its euro-fanaticism, but has always been free of the condescension toward the United States that so taints most of the British media, especially the BBC and the Guardian (not to mention the French). The Economist was solidly for Reagan in 1980, long before other serious European (or most American) media outlets. But it too raves with the fever of Trumpophobia. The caravans from Central America were an invention of Fox News. Robert Mueller, after nearly 20 indictments (most of them empty gestures at absentee Russians), is on course to discover the extent of collusion with Russia and the identity of the colluders. Even now (issue of April 21), Republicans should "know that Mr. Trump is bad for America and the world." The Republicans must rally to the bill "to protect Mr. Mueller's investigation from sabotage." It was implied that Mike Pompeo would be defeated as nominee for secretary of state, and that Sean Hannity might be the succeeding candidate. The Economist built a big circulation in the United States in the 1970s and 1980s, and played a useful role in emasculating Time and driving Newsweek out of business, but it has become as stupid and clichéd in its political views as they did, if not quite such a paragon of bourgeois philistinism.